Time for a quick study in home financing options! Knowledge is power and I’m going to school you on your options for financing your new home. What? You think it’s too late in the year to buy a home? Wrong! You can find some amazing values at this time of the year. While typically not a busy time to move homes, life changes happen to all of us and at any time, so keep your eyes peeled. It might surprise you to know the bargains you can make on homes at the end of the year. Home financing includes the mortgage loans available to potential homeowners. There are a range of options, from borrowing from good ole Mom and Dad to a classic conventional loan to owner financing and no down payment loans. Homeowners who take the time to research and consider the many options available to them have an opportunity to really improve their long-term finances. Keep reading to learn about the many options you have. 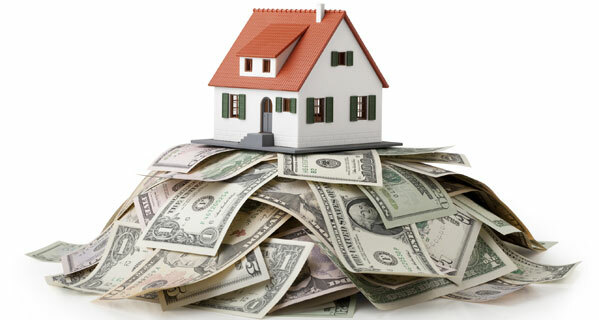 There are many ways to finance a home. Low money down and no money down are popular options, but the choices don’t stop there. No Money Down Loans. Mostly backed by the government, loans with no money down remain popular options for home financing. o VA Loans offer 100% financing to Veterans. The VA does not require mortgage insurance, and that can save the average homeowner many thousand dollars over the life of the loan. Since the VA doesn’t charge mortgage insurance, they charge a funding fee. It’s a one-time fee of 2.15% of the loan amount, and you can fiancé it into the loan. Read more about VA Loans. o USDA Loans are rural development loans with no down payment created for low to moderate income families. USDA loans offer a low mortgage insurance premium, usually 0.35% compared to 0.85% for FHA loans. You can also roll closing costs into the loan. Find out if you qualify for a USDA Loan. o Navy Federal Credit Union offers its first time home buyer members 100% financing with no mortgage insurance. It offers its services to all veterans of the armed services and their families. Learn more about Navy Federal Credit Union and their many financial services. Low Money Down Loans. With many banks stepping up to fill a void in the market for those borrowers with decent credit but not a lot of cash, homeowners have many options for low money down mortgages. o FHA loans are loans backed by the Federal Housing Administration. Homeowners who qualify can get an FHA loan for as little as 3.5% down. Find out the details about an FHA loan. o Bank of America is offering Affordable Loan Solution with a fixed-rate home loan geared for first time home buyers. One of many home financing options that offer no mortgage insurance and low down payments. o Rocket Mortgage offers streamlined mortgage services including fast loan approval and fast money dispersal. Find out if Rocket Mortgage works for you. Conventional home loans are not secured with government backing. They’re normally offered by private lenders and they make up about two-thirds of all home loans. Although conventional loans typically have higher interest rates than government-backed loans, they don’t usually require private mortgage insurance, and may be substantially less expensive over the life of the mortgage. Fixed loan rates versus adjustable rate mortgages. Fixed rate mortgages come with an interest rate that doesn’t change over the life of the loan. Adjustable rate mortgages offer low rates at the beginning of the loan, but after an introductory period, the rate can change with the market. If you’re not planning on being in your home a long time, an adjustable rate may save you a lot of money. It can also mean trouble if rates fluctuate a lot and you’re planning on staying for a while, so be careful when considering this type of loan. You have lots of choices when it comes to home financing options, but don’t forget to prepare yourself when seeking financing. Shore up your credit report, pay down on some bills if you can afford it, and definitely shop around for the best interest rates and terms.